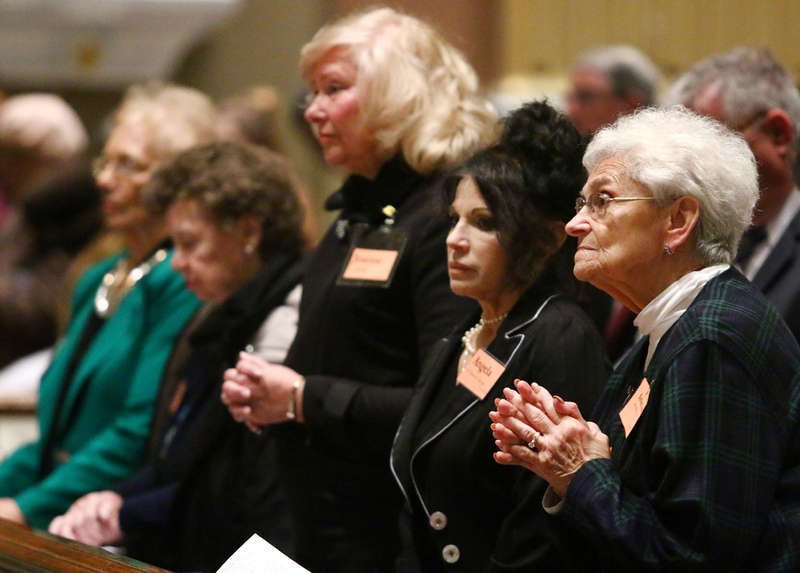 Barbara Joan Knobbs, right, from St. Martin of Tours Parish in Philadelphia prays along with other recipients of the St. Teresa of Avila Award for 40 years of service. Kristy Matulevich of Corpus Christi Parish in Lansdale received the St. Martin de Porres Award for 20 years’ service. 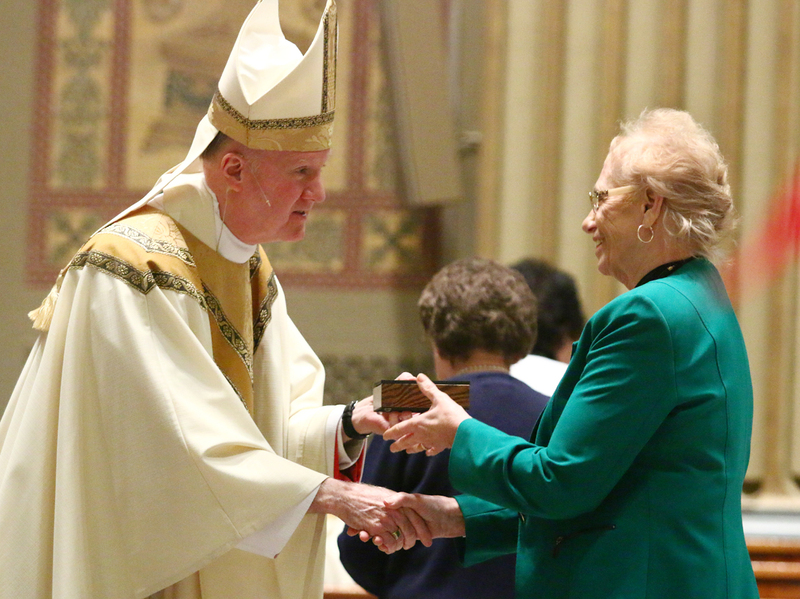 Philomena Chacko, St. Vincent de Paul Parish in Richboro, received the St. Pius X Award for 10 years’ service. 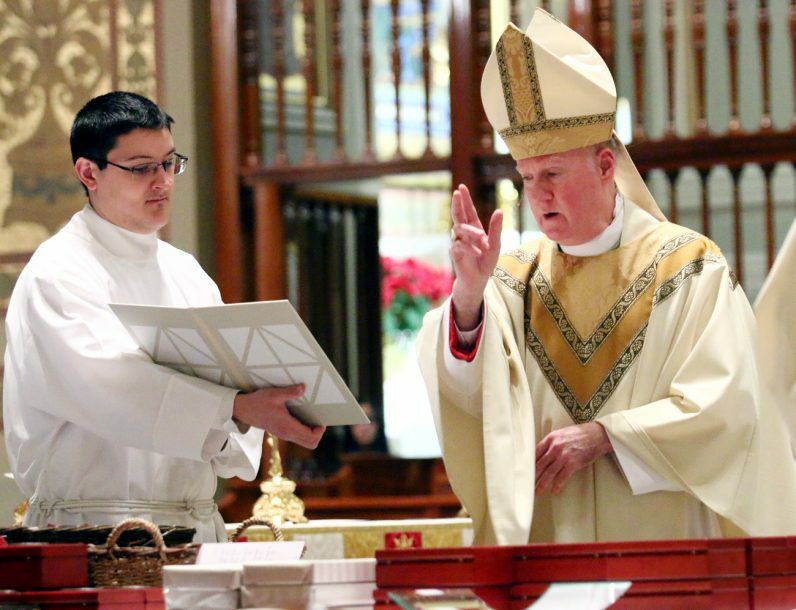 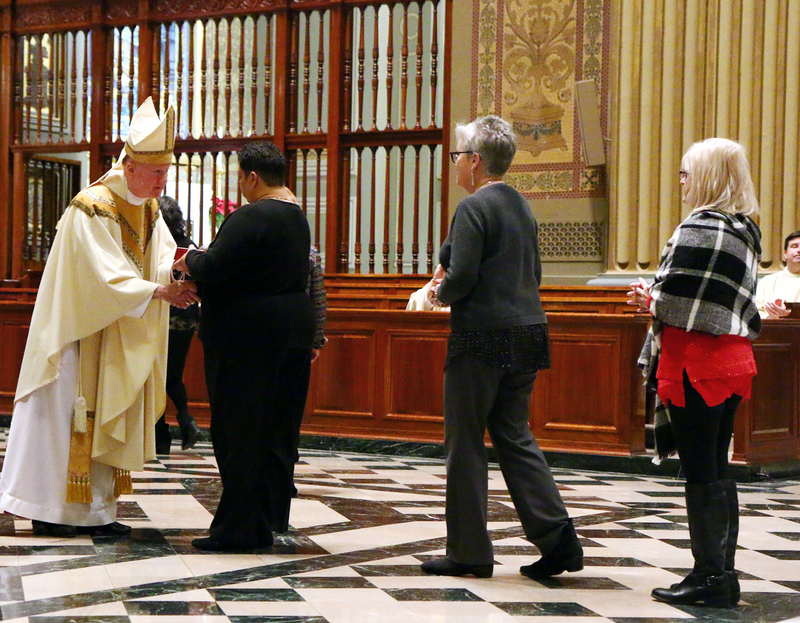 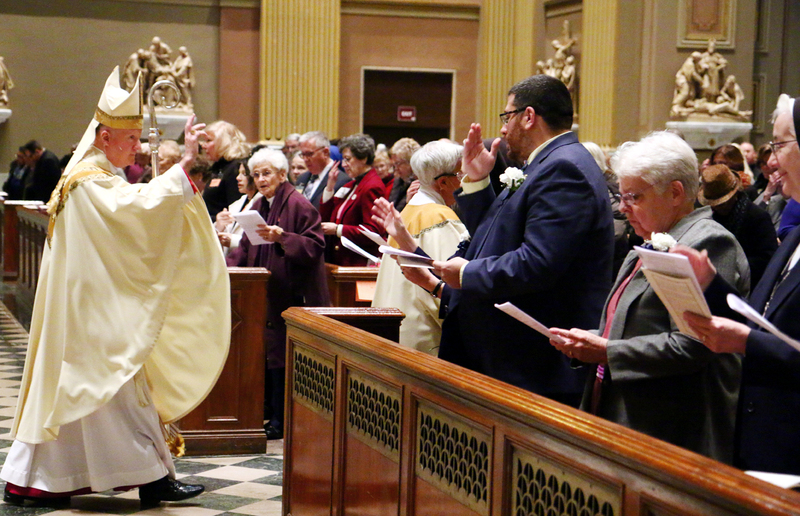 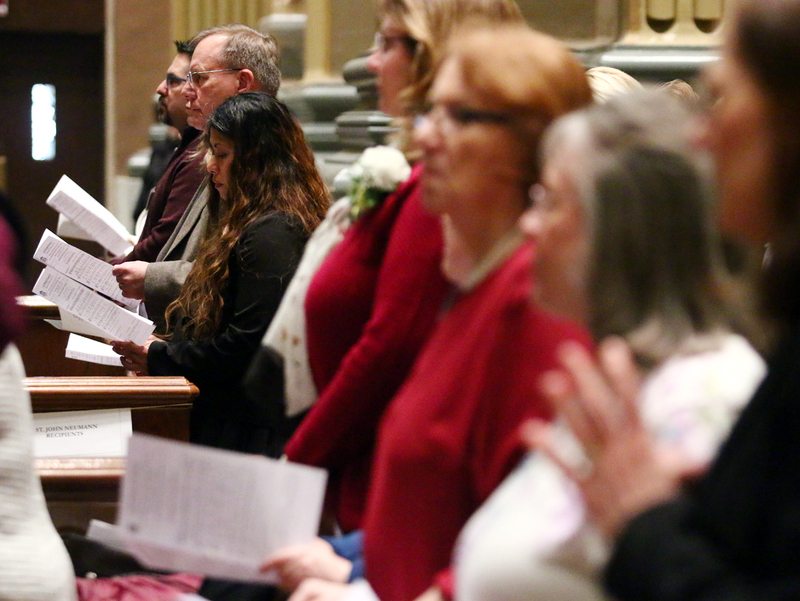 Bishop Michael Fitzgerald, who oversees Catholic education in the Philadelphia Archdiocese, receives the offertory gifts during the Mass for religious educators Jan. 12 at the Cathedral Basilica of SS. Peter and Paul, Philadelphia. 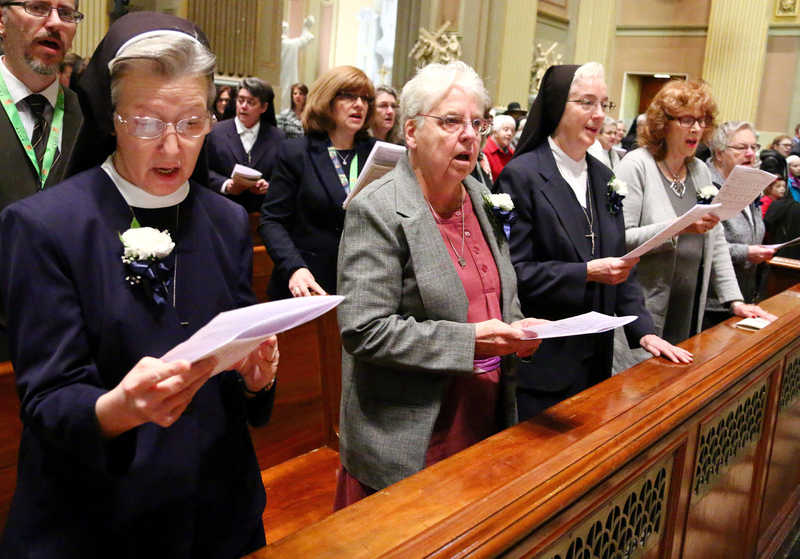 Lynda Batten, St. George Parish in Glenolden, prays during Mass which recognized her 20 years of service. 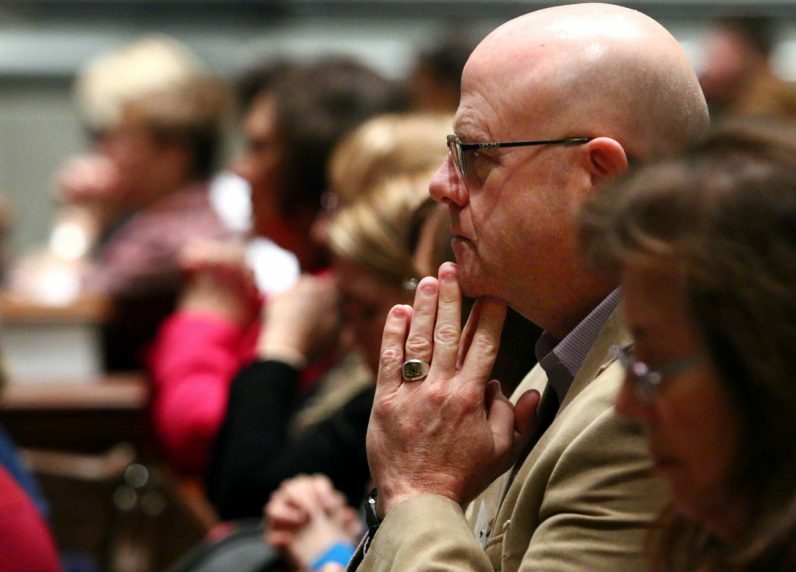 Joe Dagney, who has spent 20 years in religious education at Our Lady of Consolation in Parkesburg, prays during Mass. 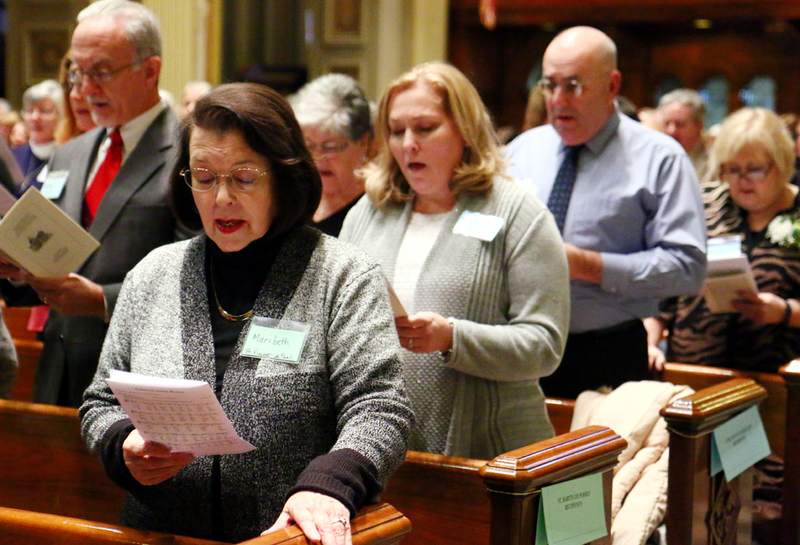 Marybeth Giovinazzo (left), from St. Vincent de Paul Parish in Richboro, has taught children of the archdiocese for 20 years. 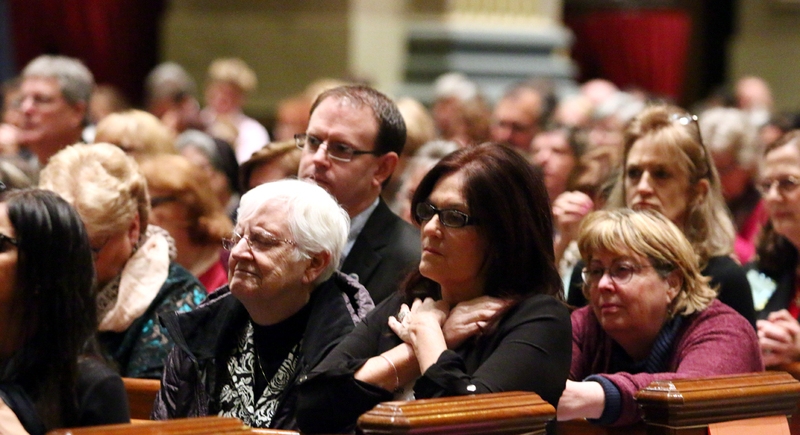 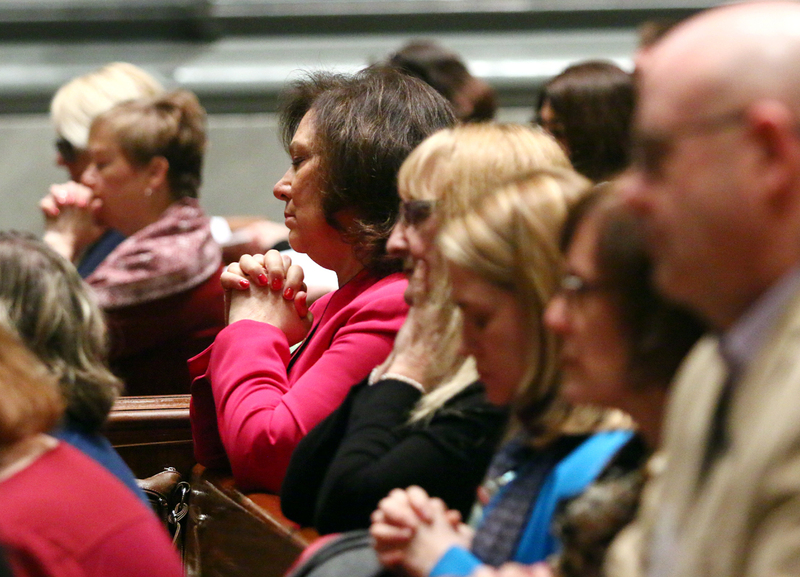 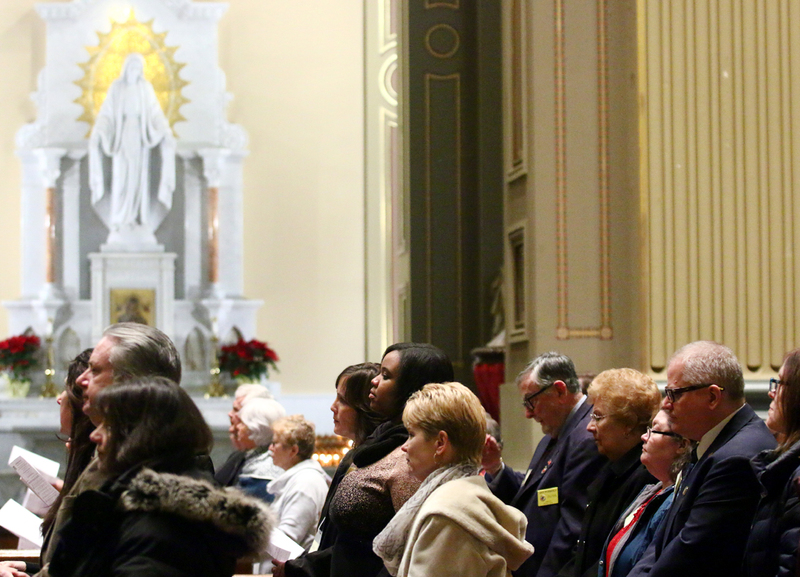 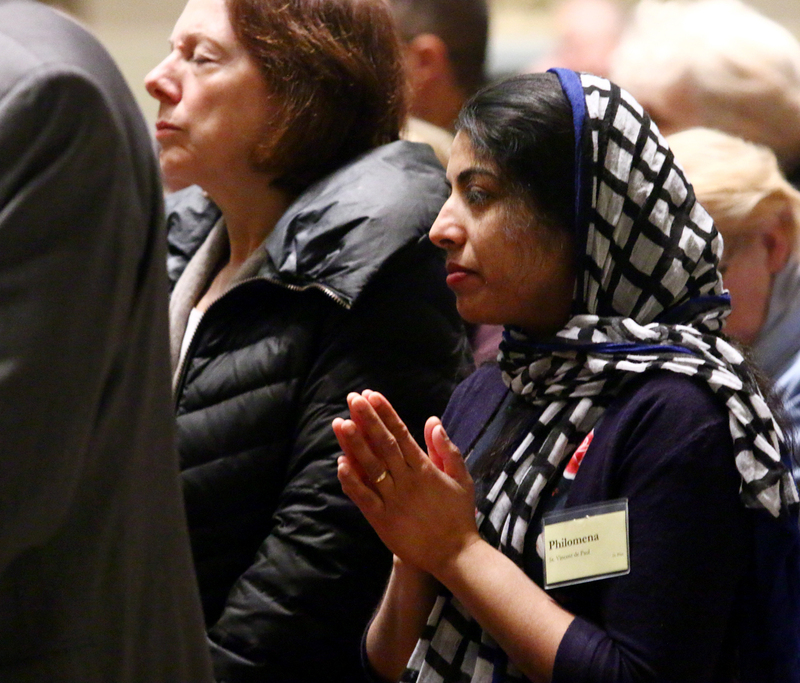 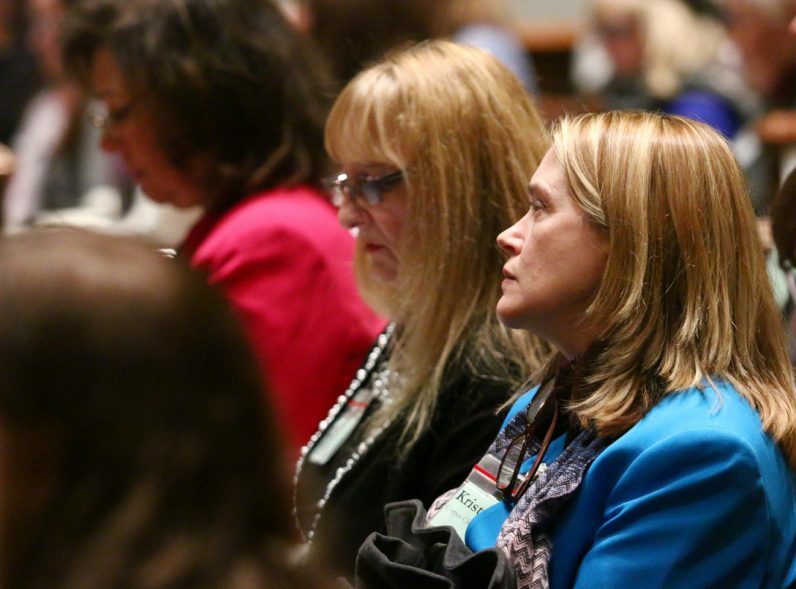 Directors of religious education, who received awards for service between 10 and 34 years, pray during Mass. 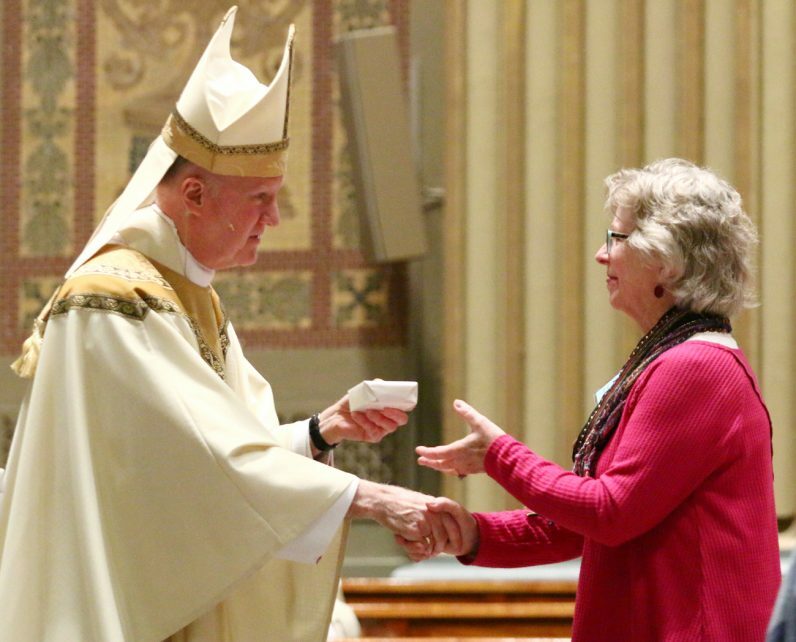 Linda Haselbarth of Mary Mother of the Redeemer Parish in North Wales receives the Our Lady of Guadalupe Award for 15 years of service from Bishop Michael Fitzgerald. 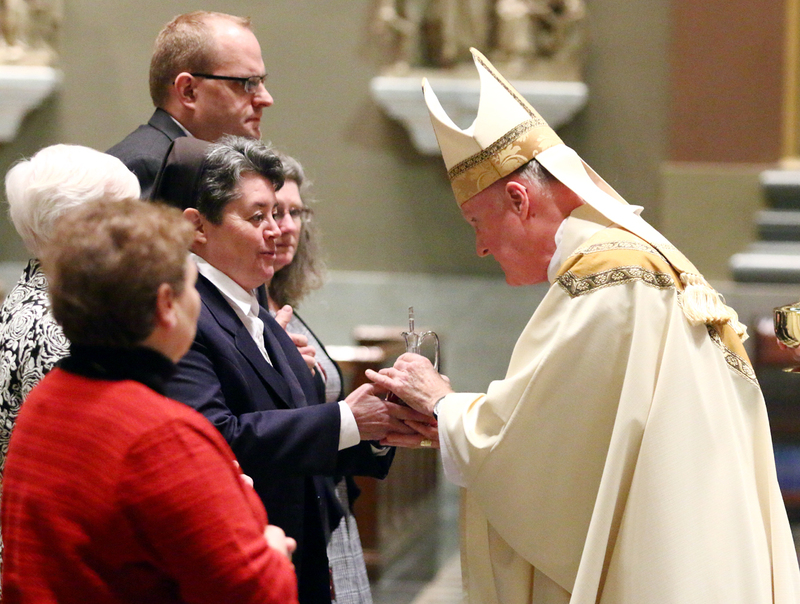 Recipients of the St. Charles Borromeo Award for 25 years of service are thanked by Bishop Michael Fitzgerald. 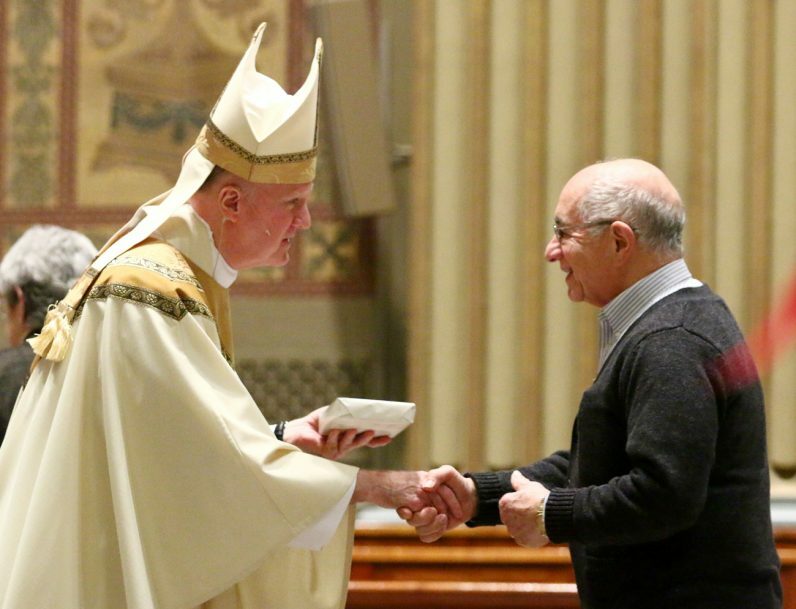 Frank DiFonzo of SS Phillip and James Parish in Exton receives the St. John Paul II Award 30 years. 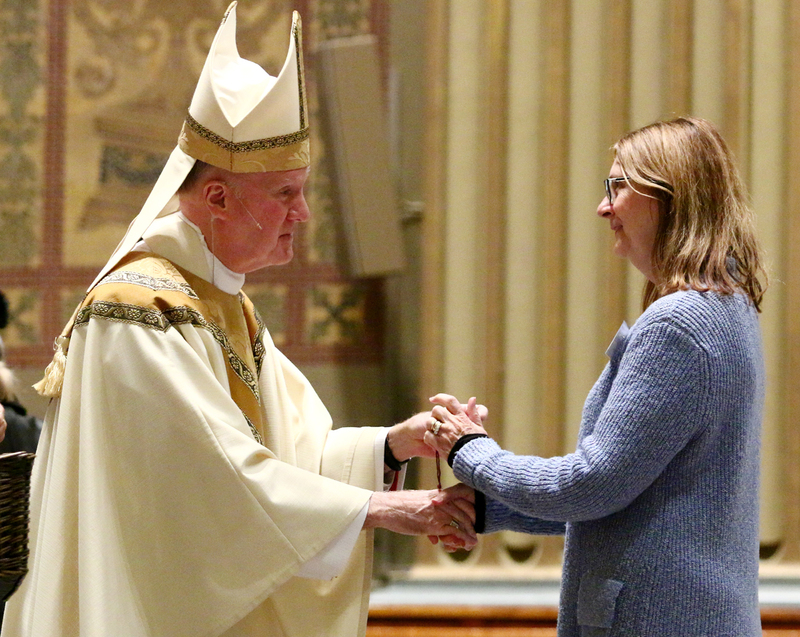 Bishop Fitzgerald presents Louise Ciabarra with the St. Teresa of Avila Award for 40 years of service in Catholic education. 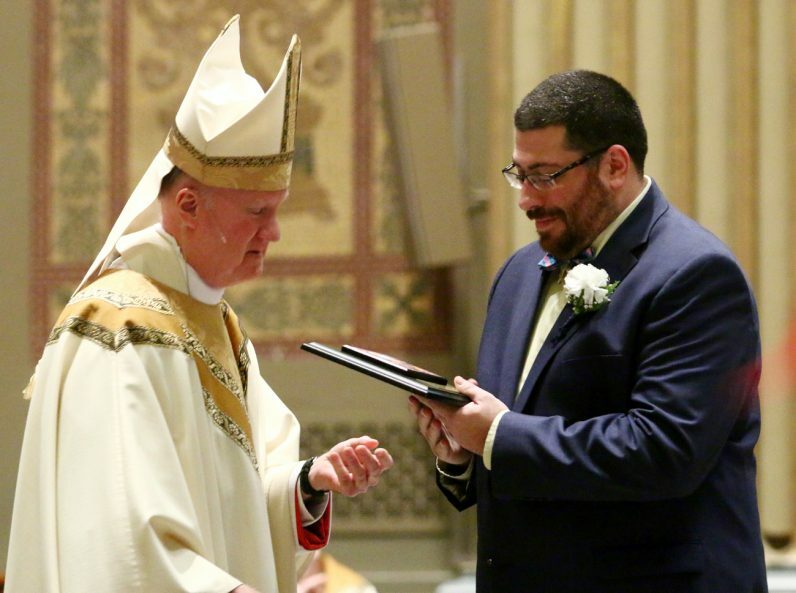 Mark Gonzalez receives the St. Katharine Drexel Award for 10 years of service as a DRE. 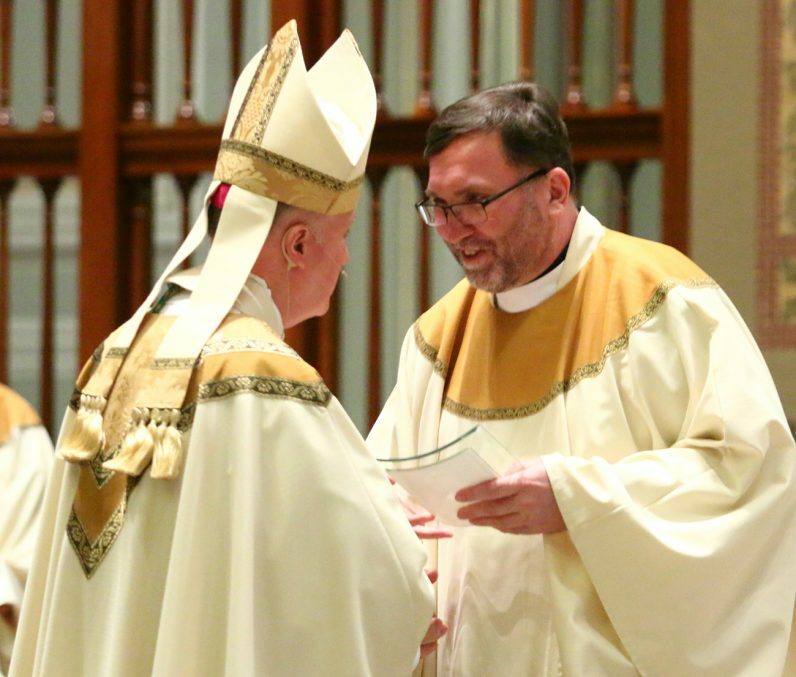 Father Christopher Walsh receives the Paul VI Award, the highest archdiocesan award among religious educators.